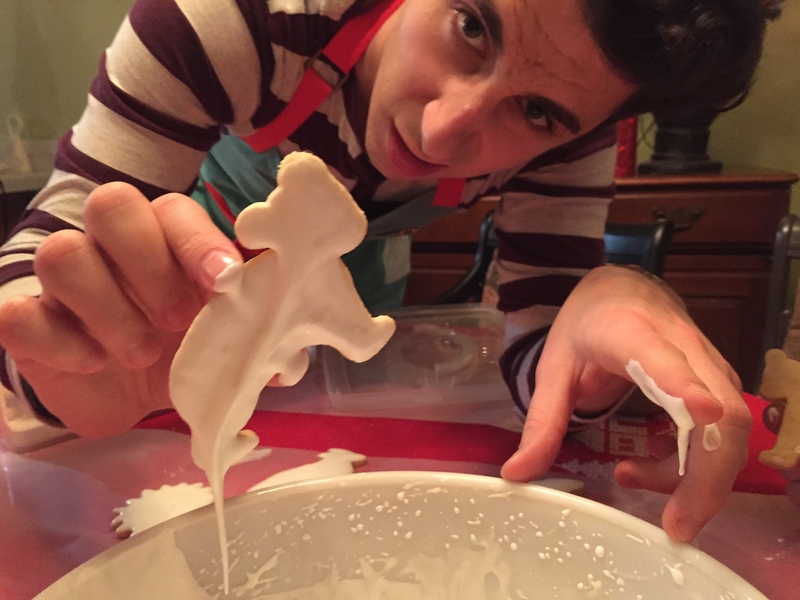 The holiday season might be gone, but this was a pre-Christmas baking event, so deal with it. 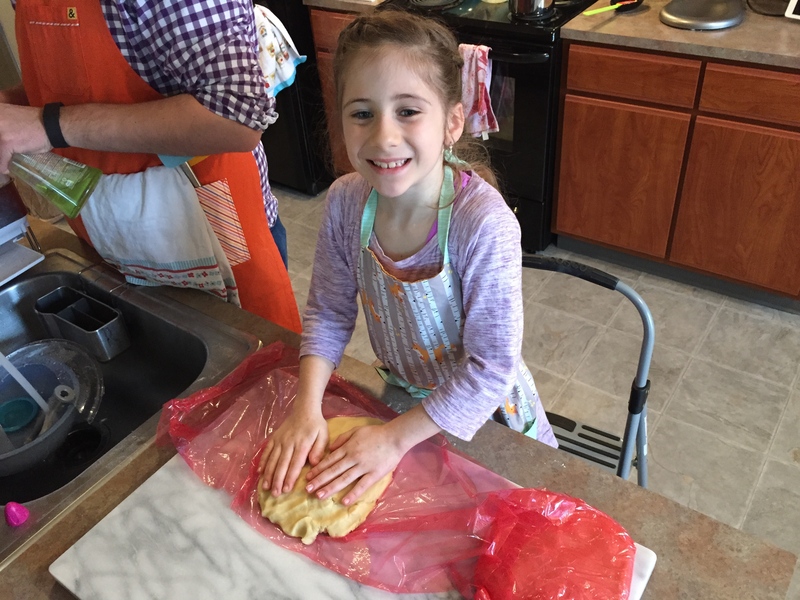 We had my niece, Ava, over for an all-day baking extravaganza. 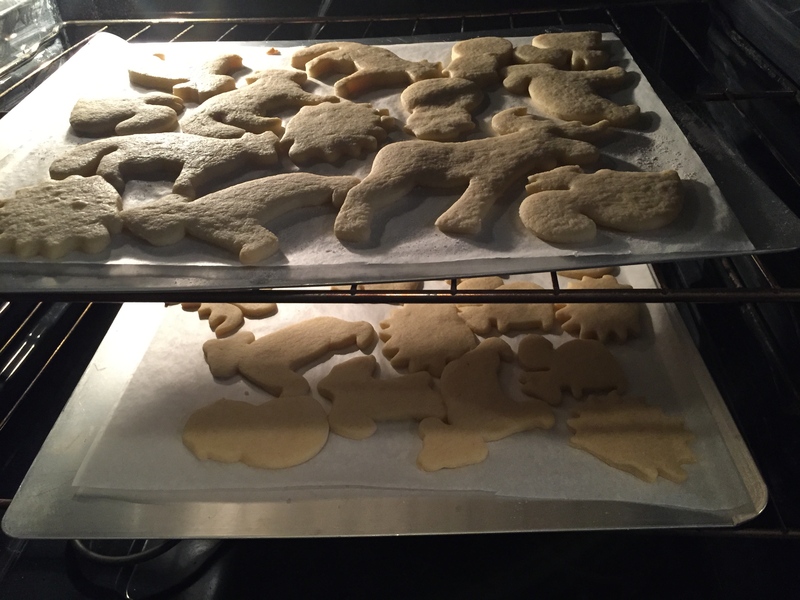 We made peanut butter kiss cookies, glitter balls, peppermint bark (that failed), and these. 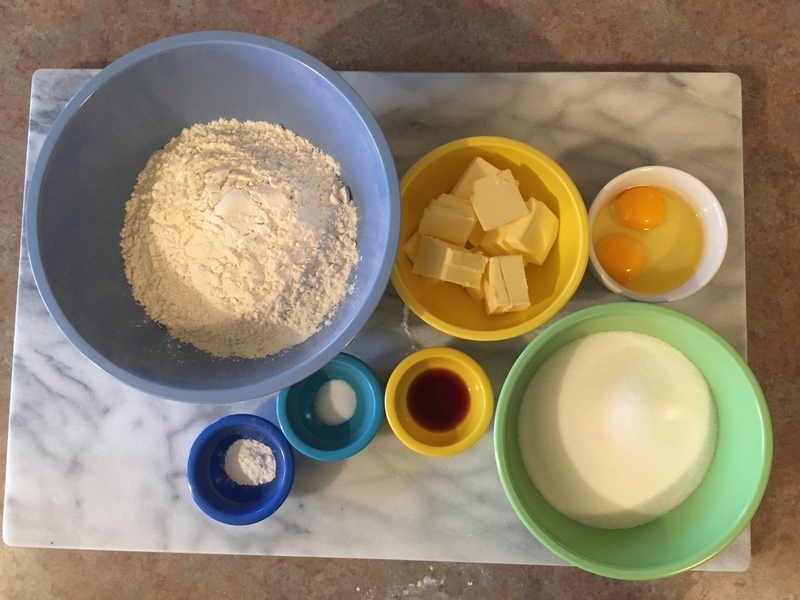 Step 1: Gather ingredients: flour, butter, eggs, sugar, vanilla, salt, baking powder. Those were farm fresh eggs. Dustin told Ava there was a chance she could crack one and a dead chick would be inside. That was a fun conversation. 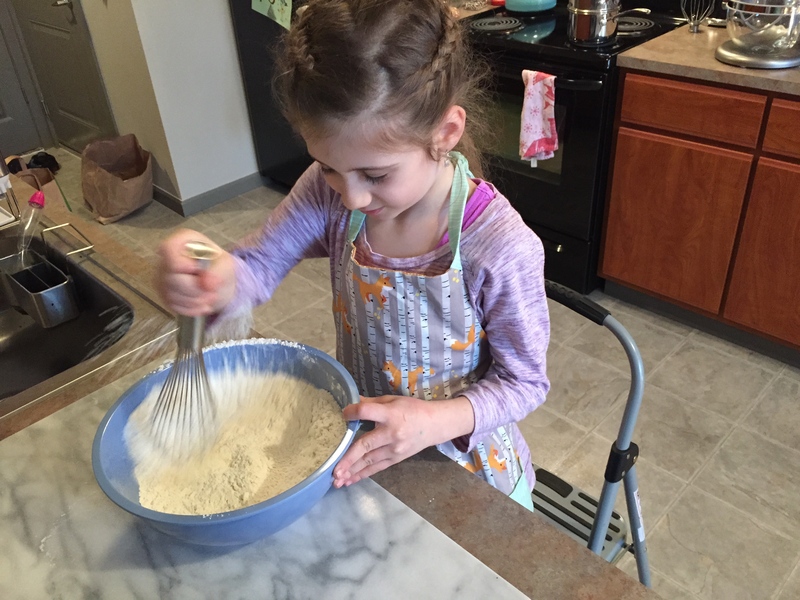 Step 2: Whisk to combine flour, baking powder, and salt. 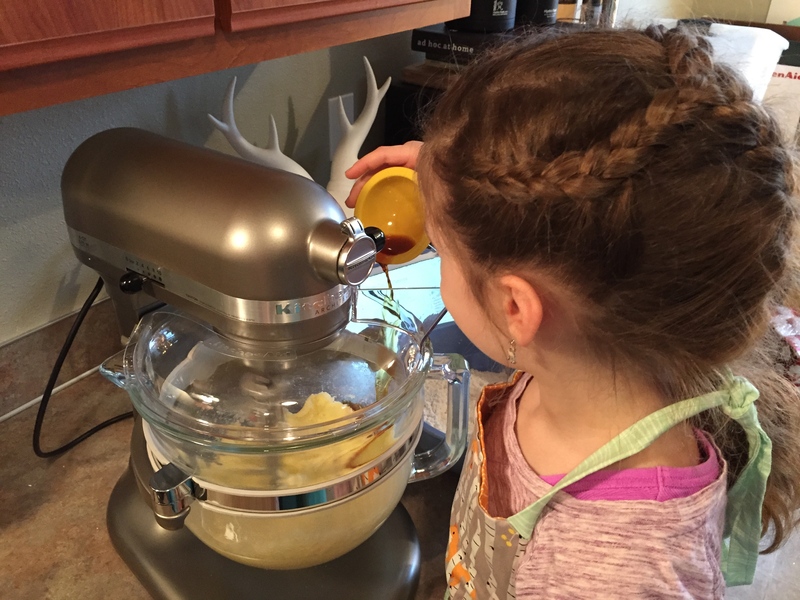 Put the girl to work. You like how she’s doing everything? 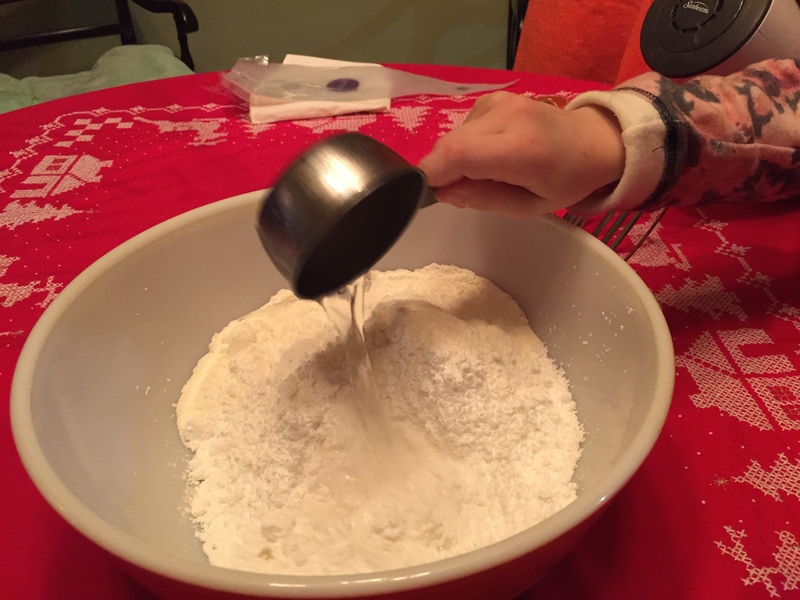 Step 6: Gradually mix in flour mixture. Step 7: Divide dough in half and shape into disks. Wrap and chill. 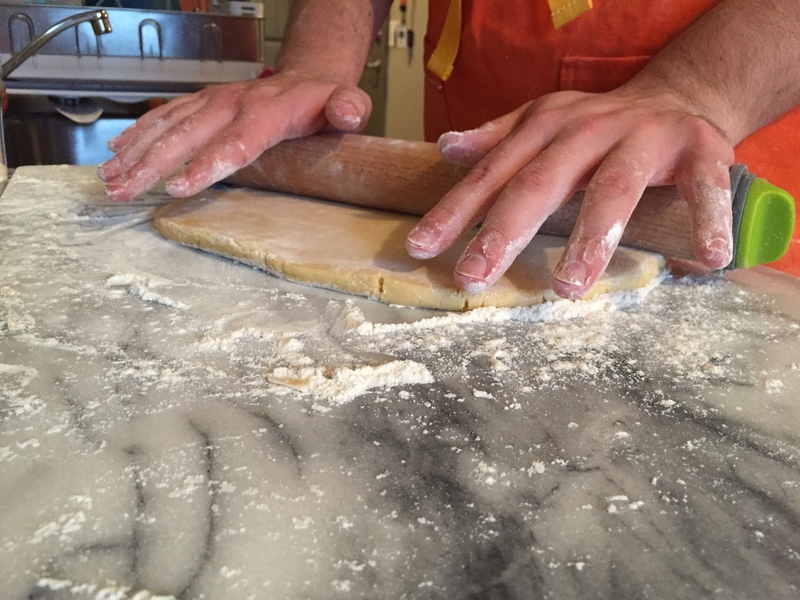 Step 8: Roll dough on a floured work surface and cut. This new marble slab worked out nicely. 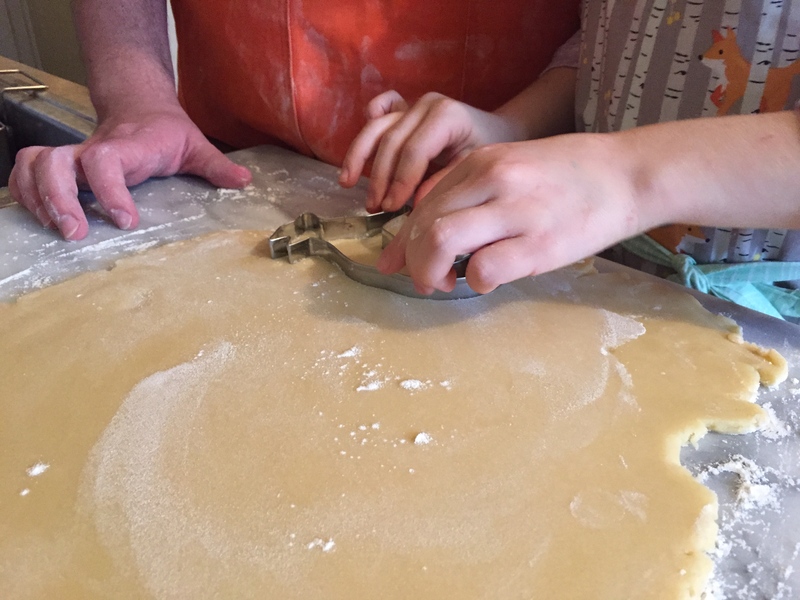 I put Dustin and Ava on this task since we all know how much I hate rolling and cutting dough. I’d rather slave away making toys. After doing that a million times, we decided to wait to ice them until the next day. We all gathered at my parents’ house and got to work. 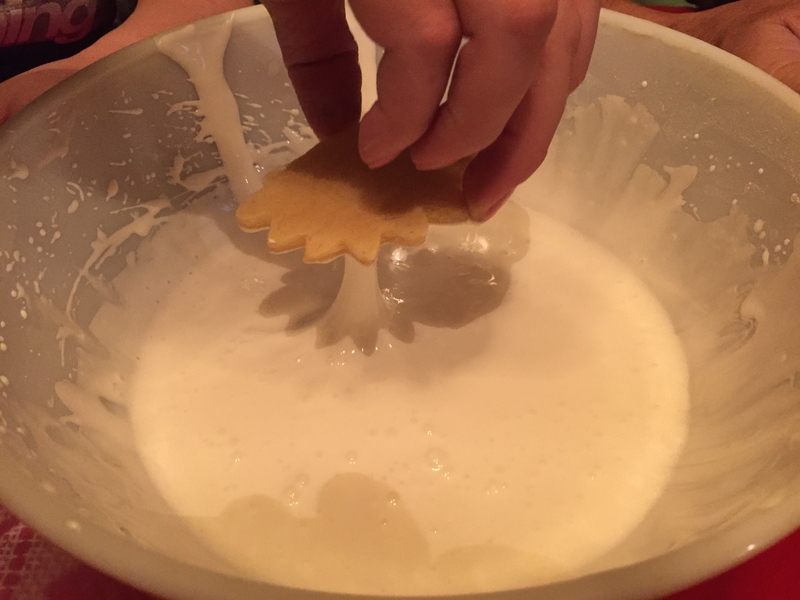 Step 10: Gather icing ingredients: meringue powder, flour, water. 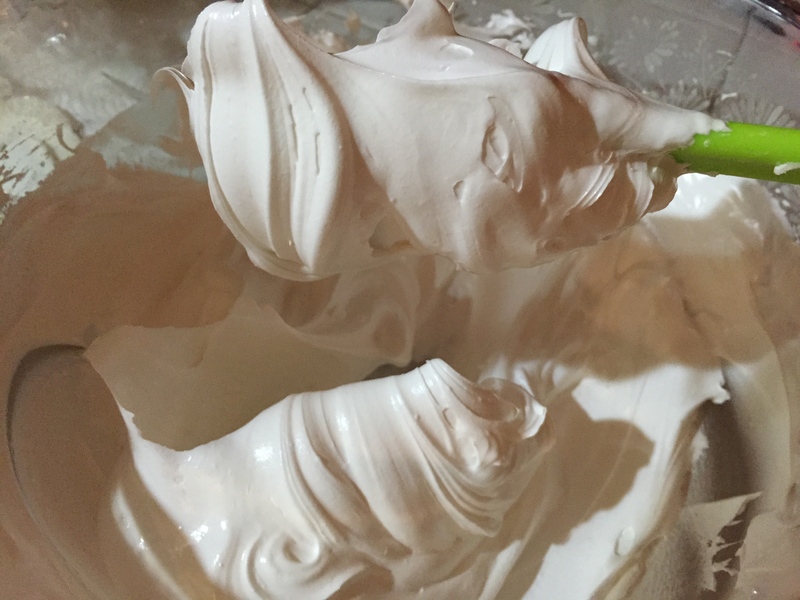 Who knew you can buy meringue powder at Market of Choice for WAY cheaper than getting Wilton? 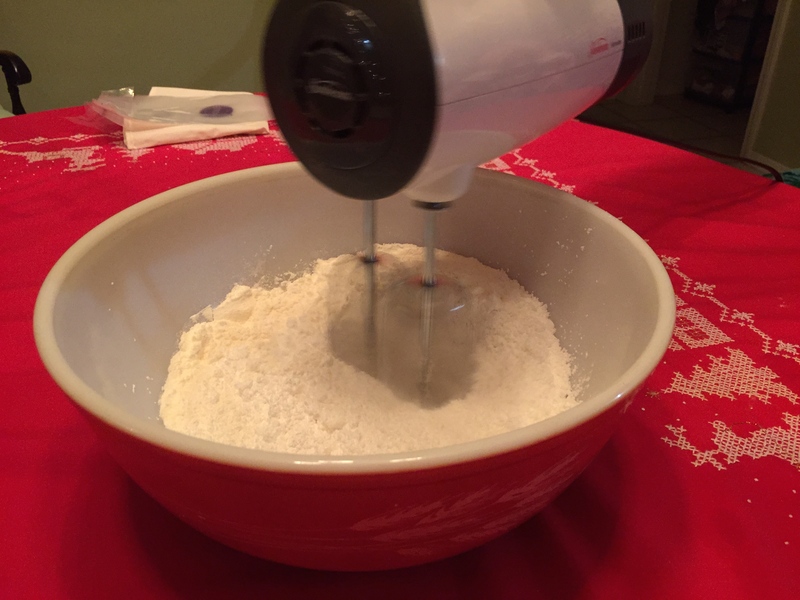 Step 12: Beat with an electric mixer for 7 minutes. Easy…not! 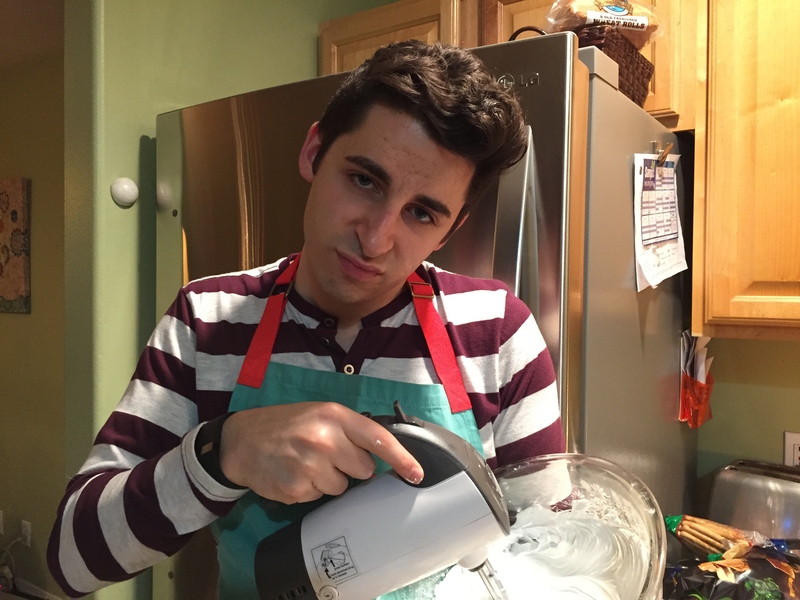 My mom has a stupid hand mixer. 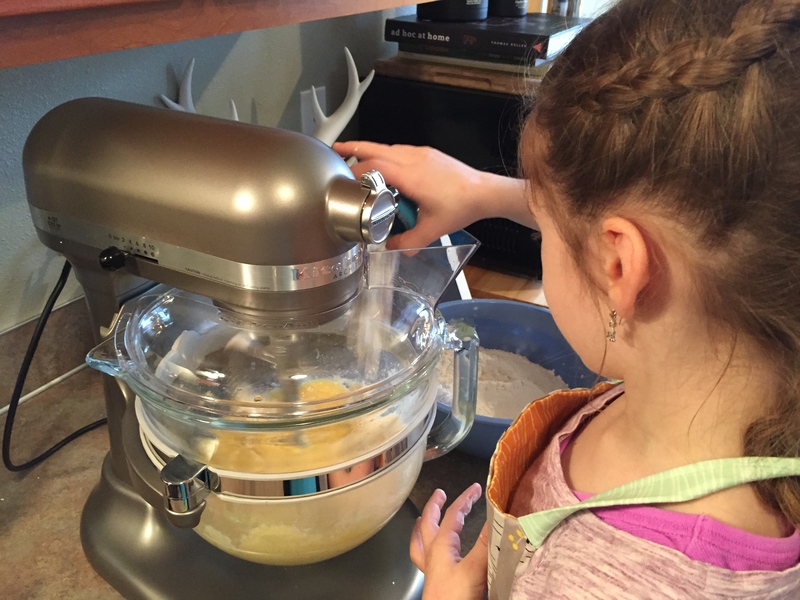 “Low” speed is equivalent to a 6 on my KitchenAid mixer. 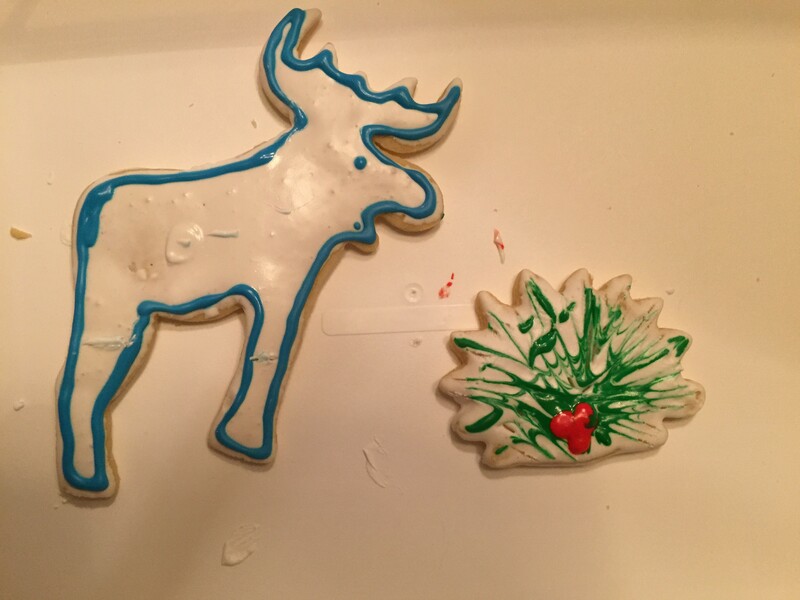 My sister is a cake decorator at a bakery and said they dip their cookies in royal icing. I was skeptical. “Dip and then scrape off the excess with your finger.” Thanks, Brittany, for that advice. This looks so great. These didn’t look great, but not terrible either. 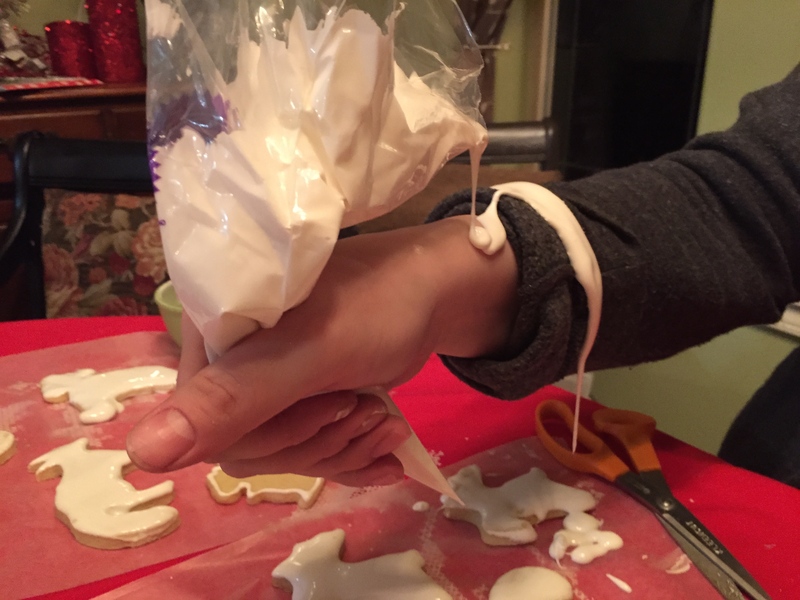 I finally got my sister to use a piping bag, but this happened because she wasn’t paying attention. 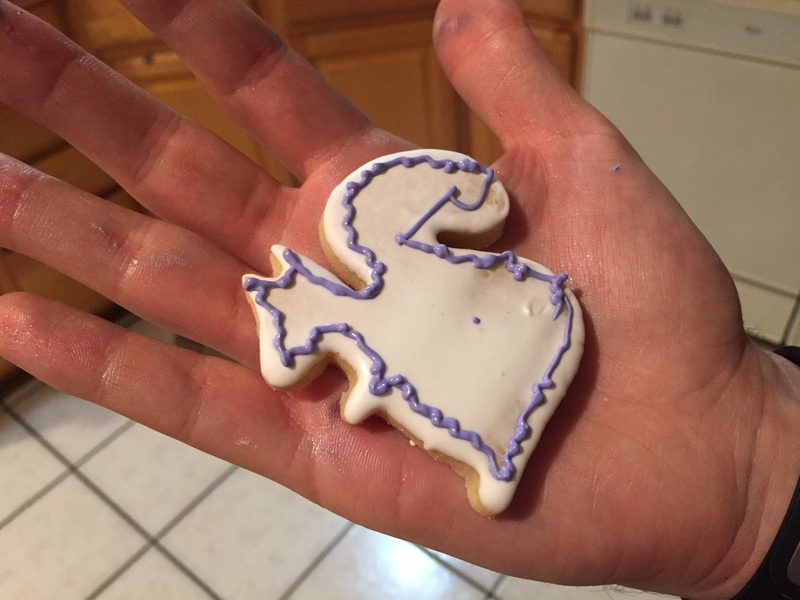 I lost all hope for these cookies. Guess what? 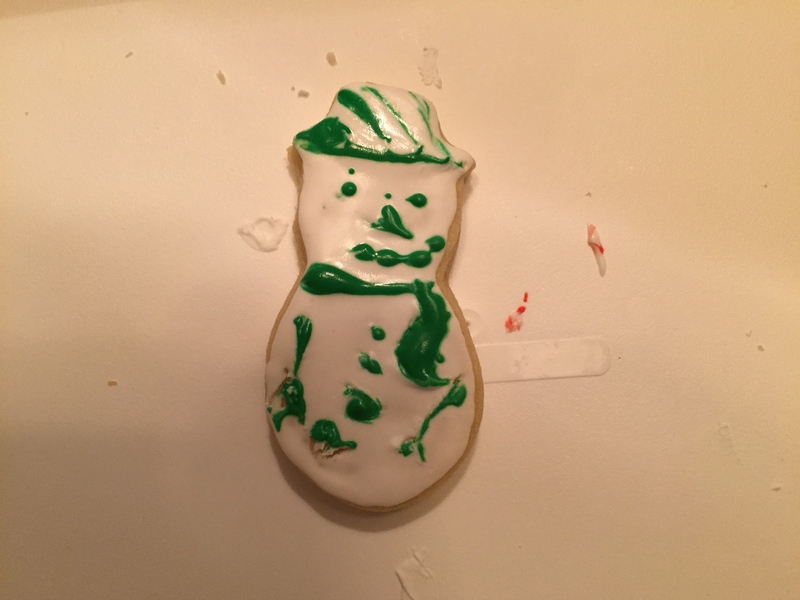 We ran out of royal icing. I had to go back and mix again. 7 minutes of heaven. Huh. This batch was thick. 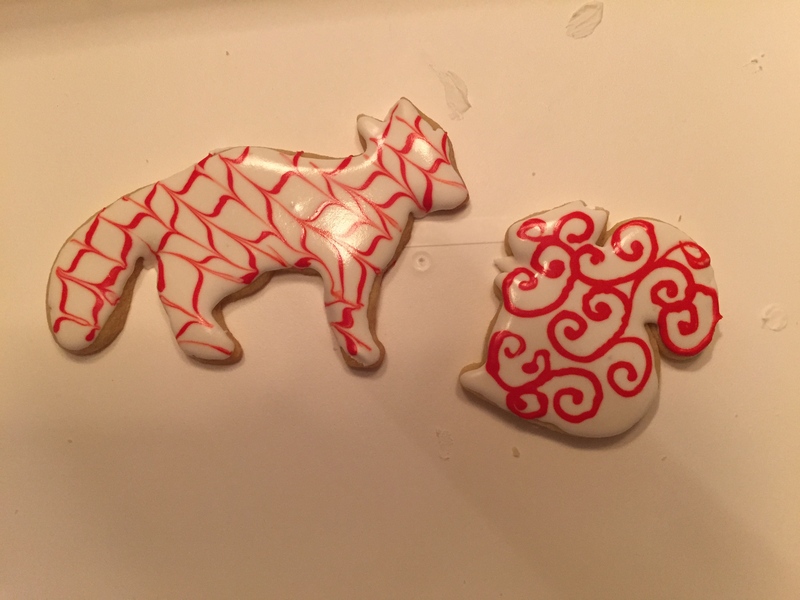 I still hate royal icing. I can’t do it. All day baking extravaganzas are tiring, and hot. 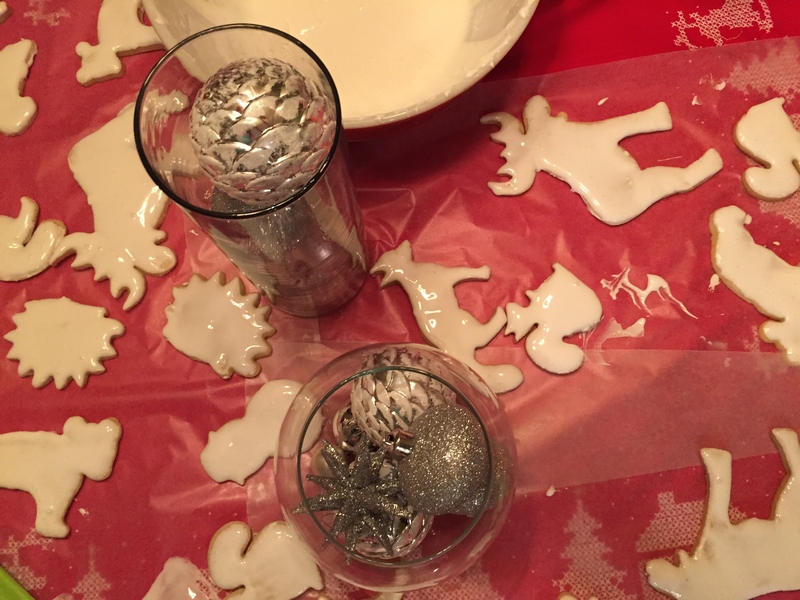 Dipping the cookies isn’t necessarily easier. Why, with the exact same ingredients, did that second batch come out so much thicker? So, these didn’t even taste good. I did give some away, so I’m sorry if you are reading this. 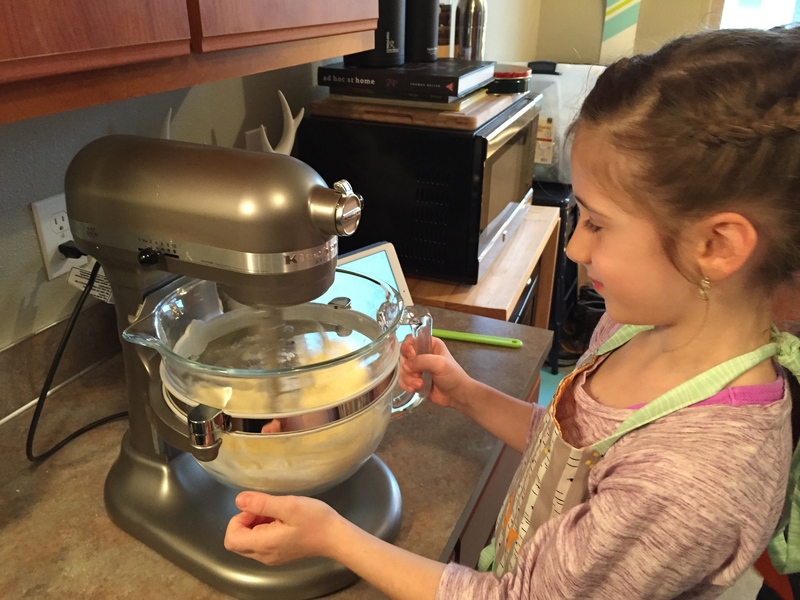 We bought my mom a KitchenAid mixer for Christmas. 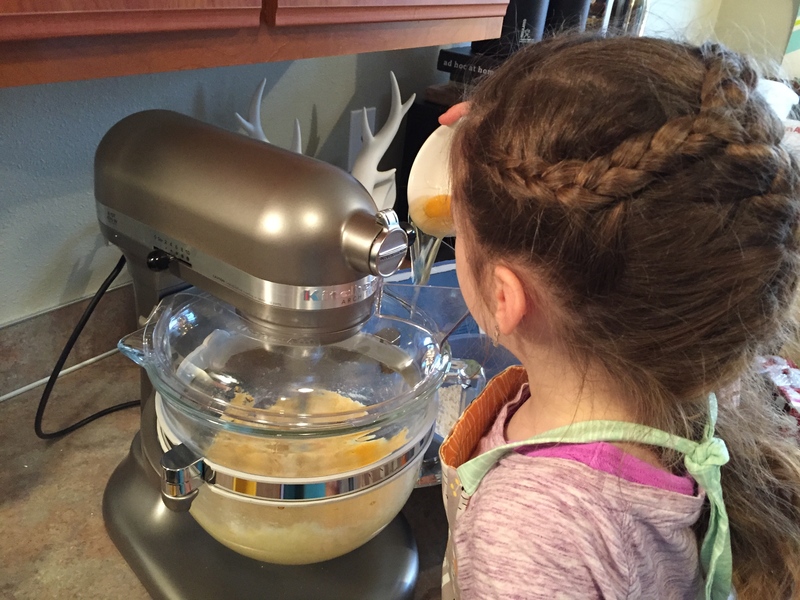 Bye, Sunbeam hand mixer! 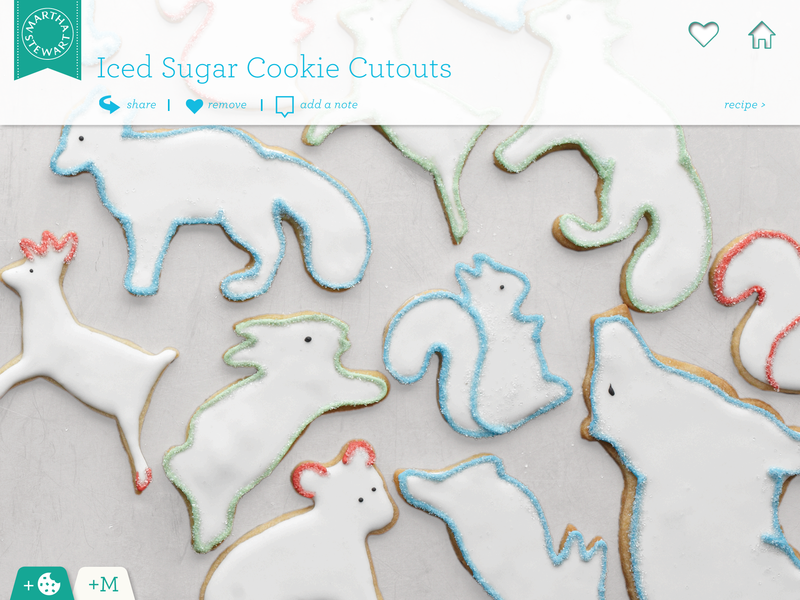 Royal icing with flour? 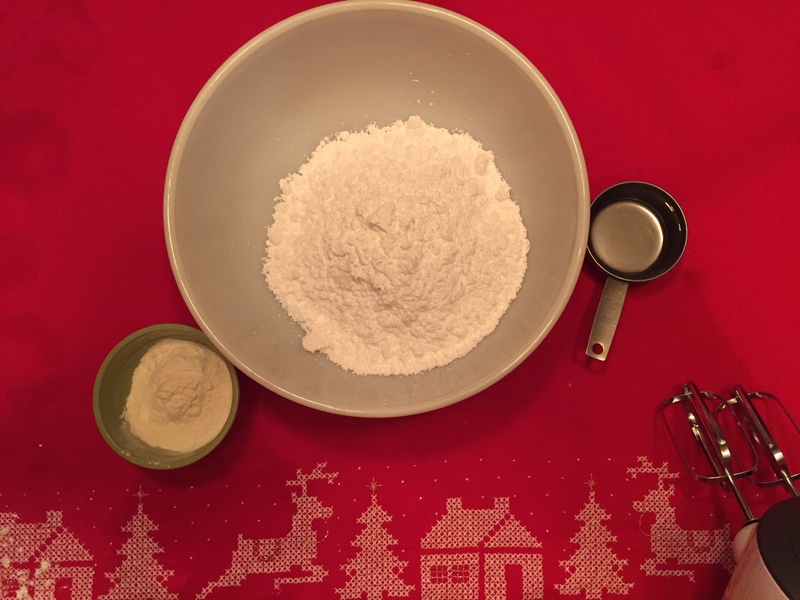 or powdered sugar? I can’t imagine it would taste good with flour. lol. 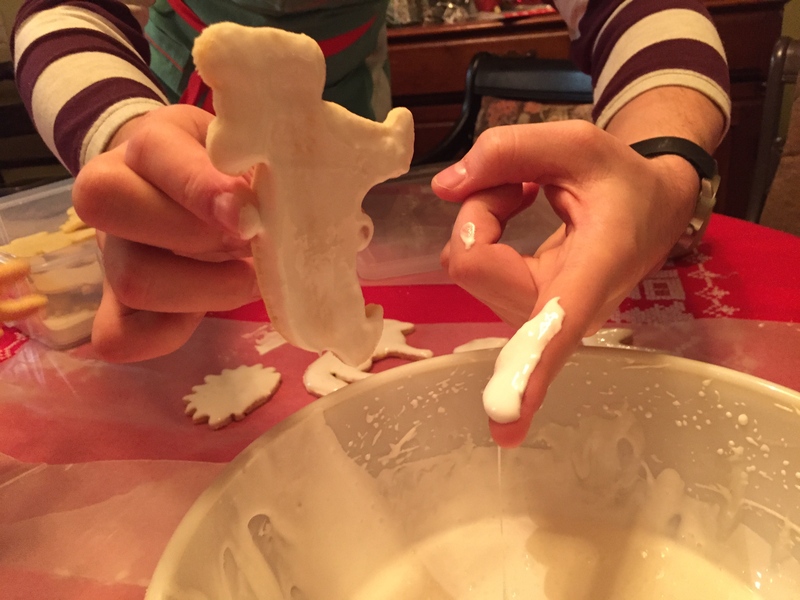 I’ve only ever made royal icing once. It was sucky. I made glaze recently which was pretty easy and awesome. Try that next time! I’m guessing the second batch was thicker because there was less water. Even minuscule amounts make a difference with RI.